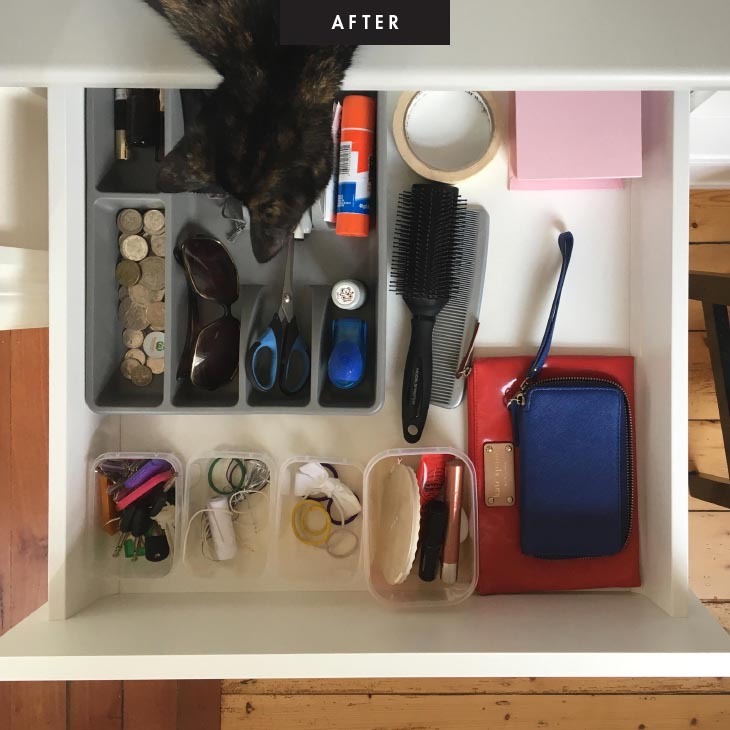 Above: A pic of my essentials drawer before l got started… a mess! I’m currently wasting so much time every day trying to find things! It’s time to declutter! 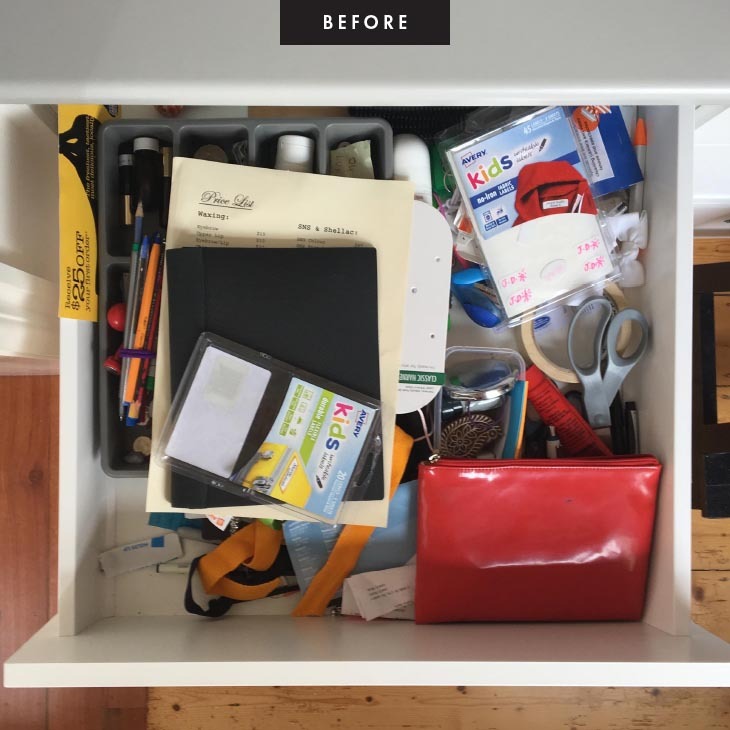 STEP 1: Clear and clean a nearby surface, so you have space to organise the contents of the drawer. STEP 3: Remove all items from drawer and sort into categories, keeping ‘like’ items together, e.g. stationery together, keys together, etc. STEP 4: Declutter items you no longer need, use, that are damaged, or that should be stored elsewhere. You should now be left with the items you would like to store back in the drawer. 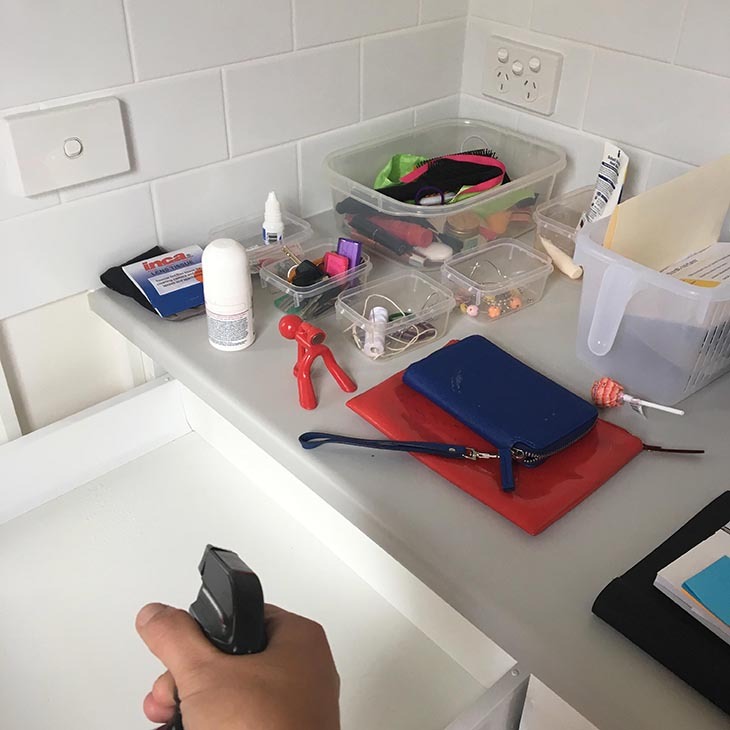 STEP 5: Clean the drawer surfaces and put the remaining items back into the drawer, keeping ‘like’ items together. Use some storage compartments/containers to help keep the drawer in order. ABOVE: ‘After’ pic of drawer. Sorted and easy to keep organised! Our kitten Marshmallow likes it too! Is there anything else that would be useful to store here? 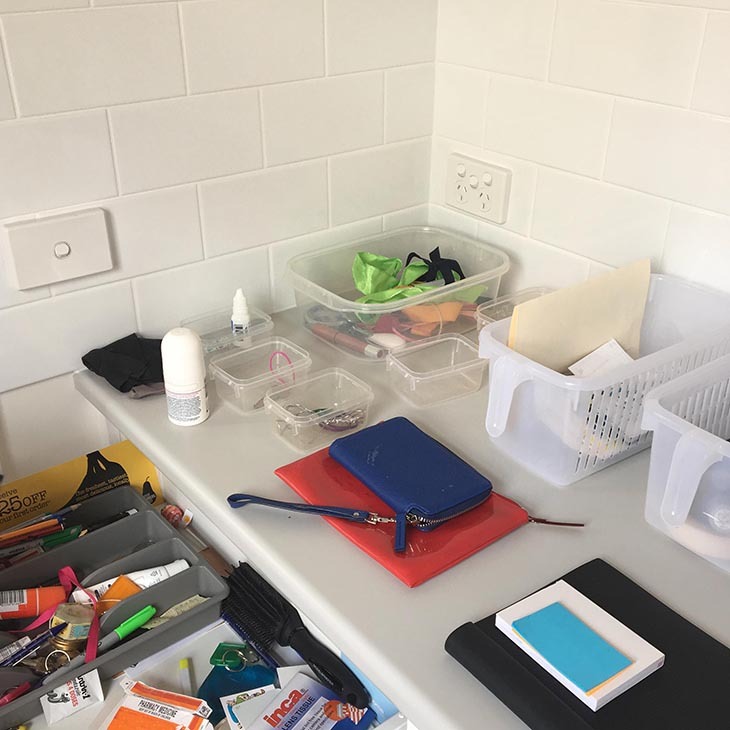 I store all the items l need to grab at a moment’s notice: keys, wallet, coins, pen, pencil, scissors, stapler, glue, hair ties, hairbrush, sun glasses, spare keys, note paper, lipstick, mirror and sewing essentials (cotton/needle)! 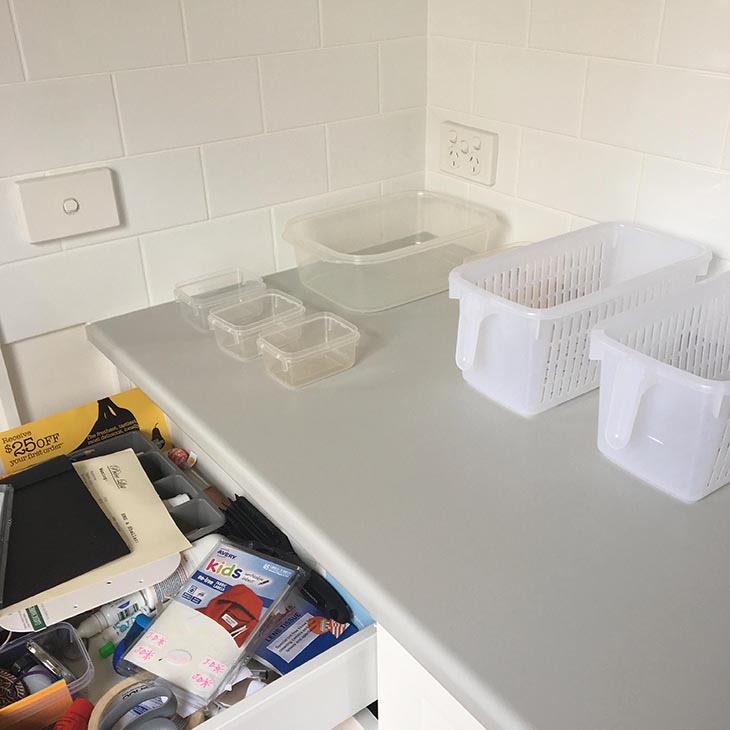 + I have used a spare cutlery tray and some spare Décor storage containers, to help keep the drawer in order. You can usually pick up a cheap cutlery tray pretty easily. Here’s one from Kmart.